Sometimes I see an interesting question which has no answer yet. Later on it disappears in the timeline and I have to search for it to see if someone wrote a comment or an answer to it. 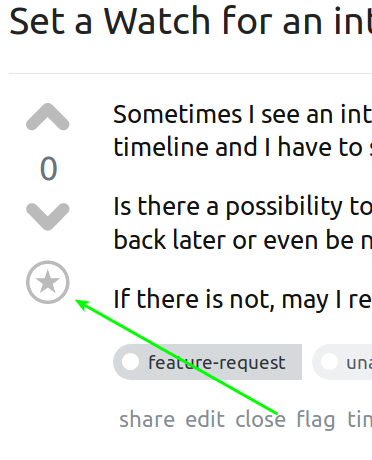 Is there a possibility to set a 'watch' on a question (sort of bookmark) to be reminded to come back later or even be notified of changes concerning this question. If there is not, may I request this for a future feature?